Creating a polished and professional message to grow your business with Deb Coman. Do you struggle when putting together your message? Here’s the blank page, and no matter how long and hard you stare at it – nothing inspiring and amazing comes to mind to put on that blank page. Or perhaps, you’ve put together a message, however it’s not making the impact you’d hoped it would, and clients are not lining up at your door desperate to work with you. If you answered yes, you’re not alone, and today’s special guest is here to help. Joining me today is Deb Coman. Deb is a writer, editor and coach who helps entrepreneurs get their message out into the world in a polished, professional way so they can grow their businesses. 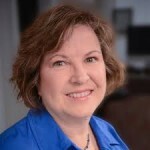 Deb Coman is a writer, editor and coach who helps entrepreneurs get their message out into the world in a polished, professional way. Deb supports her client with writing and editing; communicating your message; creating a product, program or service through Creative Content Creation Coaching – a process of brainstorming, problem-solving and developing that brings your idea to reality in a way that grows your business. What inspired you about the message Deb shared today? What action are you going to take within the next 24 hours?